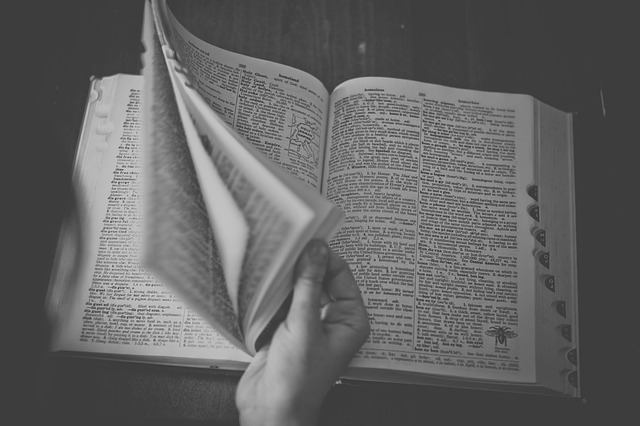 What is Common Planned Giving Terminology? Planned giving is an easy enough term to grasp. A donor makes an arrangement for a future gift in the present, most often in a will. Planned and giving are both words we regularly hear, so we can automatically deduce a meaning behind the combination. If you are still a bit foggy about the definition of planned giving, check out our article that will answer all of your planned giving questions. Once you get past the fundraising method’s basics though, that’s where the language gets a bit more complicated. Whenever contracts and wills and trusts are involved, legal terminology enters the equation, too. Fundraisers don’t have to be legal experts to explain planned giving to their supporters, but they do need to have some familiarity with a selection of the more popular and complex terms associated with planned giving. That’s where this article comes in. Here you’ll find 10 popular planned giving terms and their definitions. We’ve deconstructed each word or phrase and explained it in plain English. We hope this list will clarify a few things for you. A beneficiary is the person or organization that is legally appointed to receive the benefits/funds as deemed by a will or contract. Just as it sounds, the second beneficiary will receive the benefits after the primary beneficiary passes away. In the case of certain arrangements, an individual can establish a charitable organization as a secondary beneficiary in his or her will. That way, once that donor’s primary beneficiary passes away and no longer needs the funds, the money is then gifted to a previously determined organization. Donors do not have to notify you of a bequest. They can simply write your organization into their wills and you’ll receive their gifts after their deaths. That system of unannounced planned giving is a looming reason why nonprofits claim that planned gift prospects are hard to identify. If even the people already committed to leaving a planned gift are not notifying your organization, how are you supposed to find more prospects? Well, many donors do make their plans known, through bequest intentions. This term refers to a donor’s decision to tell the nonprofit that he or she is planning on leaving a future gift. Knowledge of a bequest is huge for a nonprofit. It can help the organization better cater stewardship of the individual donor. These donors should receive the same level of care and attention as a major gifts donor would. However, it is important to remember that a bequest intention is not a legally binding contract. These donors are not obligated to follow through with these gifts. The bequest intention is not a guarantee. Specific Amount: Just as it sounds, in these cases a donor allocates an exact set of funds to an organization. Remainder: This is the leftovers package. A donor can choose to have a nonprofit receive any money left after all other bequests are paid out. Percentage: A donor can also choose to gift your organization a set percentage of his or her total wealth. No matter which category of charitable bequest a planned gift comes from, the gift process is fairly straightforward. A charitable gift annuity is an interesting scenario. There’s a bit of back and forth with these gifts. It is easiest to think about the charitable gift annuities as a process. Let’s look the stages. These gifts are more common with high-net-worth individuals. We’ve already discussed a similar concept with our definition of charitable bequest remainders. A charitable remainder trust is gifted to an organization after the terms of the trust are complete. It is standard for a trust to give its recipient(s) a certain amount of money yearly, until the completion of the trust. Once the trust is complete, commonly after the death of its recipient(s), the remaining funds are given to the organization named in the contract of the trust. A codicil is the single legal document that has the power to change a will. It can make changes both small and large. A codicil amends areas of the previously written will. The process has to be handled with the same procedures and formalities as the initial will itself in order to be valid. A non-cash asset is what you would expect. Any asset gifted to your organization that is not cash or cash-equivalent falls under the umbrella of this term. Popular non-cash assets are life insurance policies, real property, and retirement accounts, for example. You should instinctively know this term. It is included here less for definition purposes and more to call attention to what its implications mean. Present value is current worth. Present value has different implications in the future. Inflation and a few other factors make it that a current gift with a present value of $25,000 will have a greater worth than a gift in the future of $25,000. When preparing for and considering the implications of planned gifts, the relationship between present and future value needs to be remembered and addressed. Real property is property that cannot be moved. Land and any additional permanent property on that land are all within the scope of this term. For instance, a 100 acre estate and the house itself on that estate would be categorized as real property. These are half donations, or partially given gifts. Split interest gifts are not wholly handed over to your organization, instead the owner retains a certain amount of ownership. You’ll most often see gifts such as these in the form of property or business interests. The planned gift terms listed above, and language like them, are part of the larger fundraising world of planned giving. Delve further into the topic of planned giving with our complete guide.